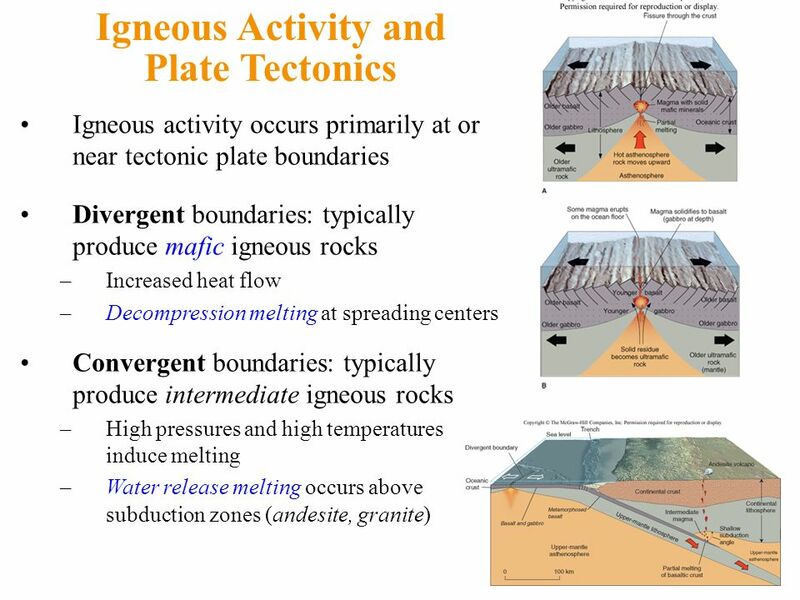 Igneous rocks form from magmas, and most magmas are associated with plate tectonics. Mafic (basaltic) and ultramafic magmas form along the divergent midoceanic. OBJECTIVES: Discovering how rocks are formed through plate tectonics. Comparing the formation of rocks. VOCABULARY: igneous; metamorphic; plate tectonics; rock cycle; sedimentary. MATERIALS: none. Students use a worksheet to determine the environments where rocks are formed.